It started in 2005 in a 1100 sq. ft room and titled "VTN" (Vinyl Toy Network.) Fast forward to 2017 to over 500 vendors and 35,000 people in attendance, Designer Con aka DCON is now one the most highly anticipated annual events in the designer toy scene. 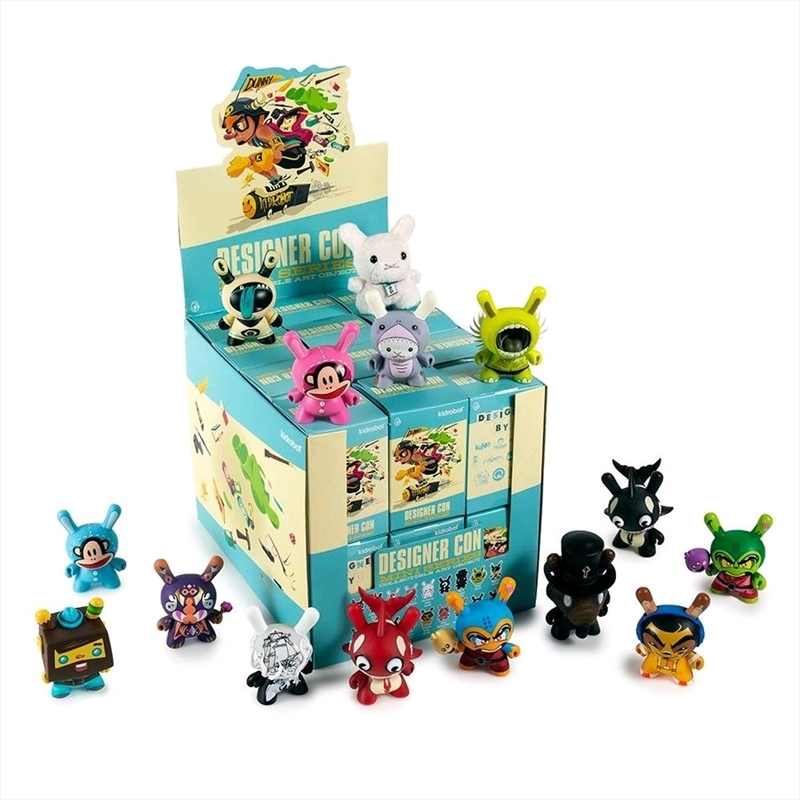 Celebrating artists that are part of (or have been part of) Designer Con over the years, the Kidrobot x DCON Vinyl Figure Mini Series is a shout out to artists loyalty and creativity. Highlighting different art, styles, and design, this mini-series is a small bite out of the extensive talent that Art and events bring together.